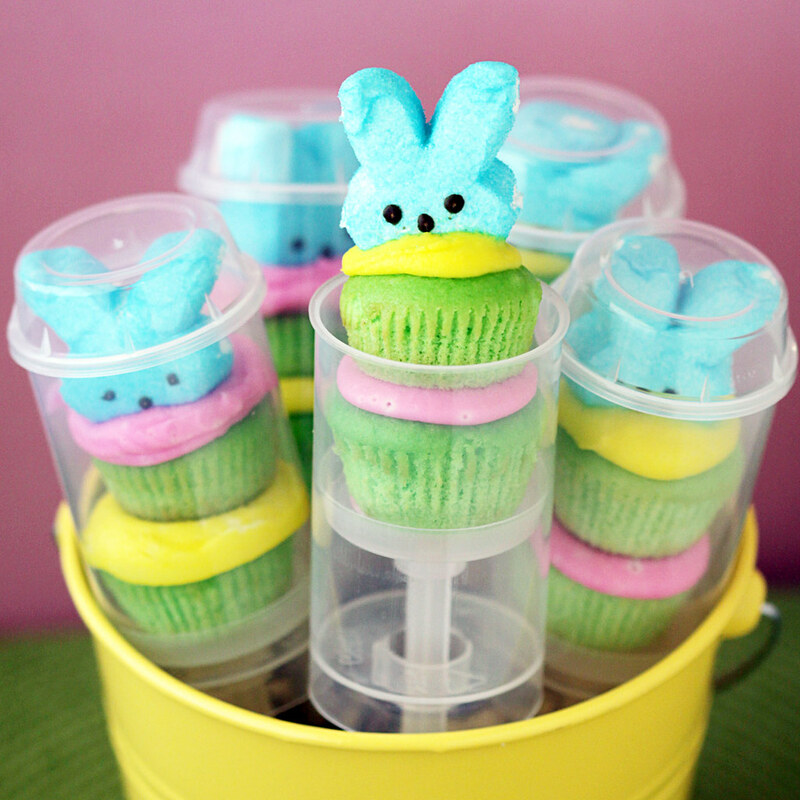 Extremely cute Peeps cupcake push pops! 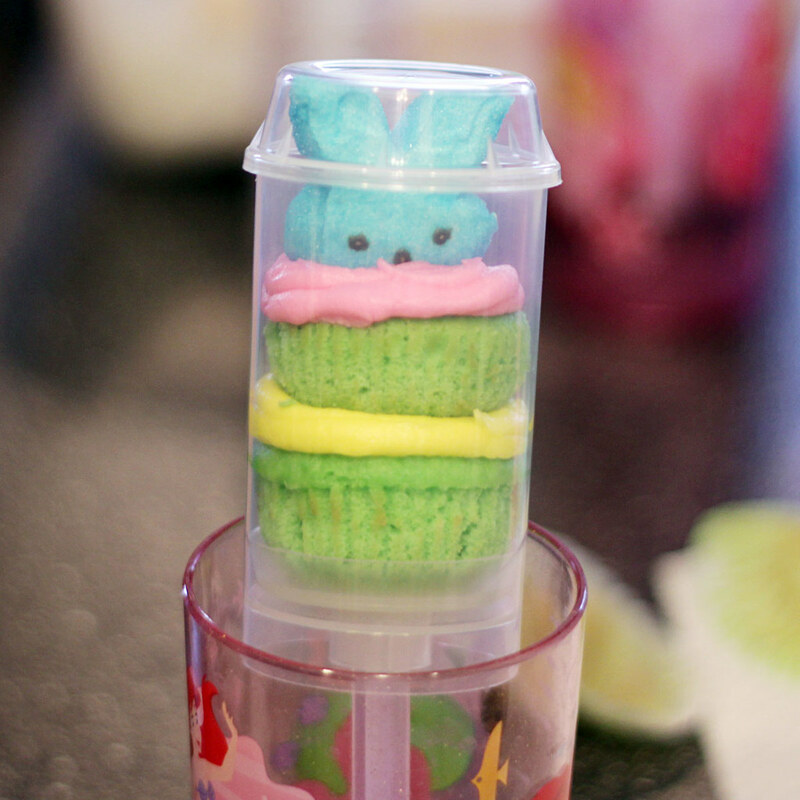 These extremely adorable, perfect for spring and Easter Peeps cupcake push pops are by blogger Love From the Oven, where you can find out how to make your own. These are really just too much, in the best possible way. What kid (or, ahem, adult) wouldn't like these? Via Flickr. 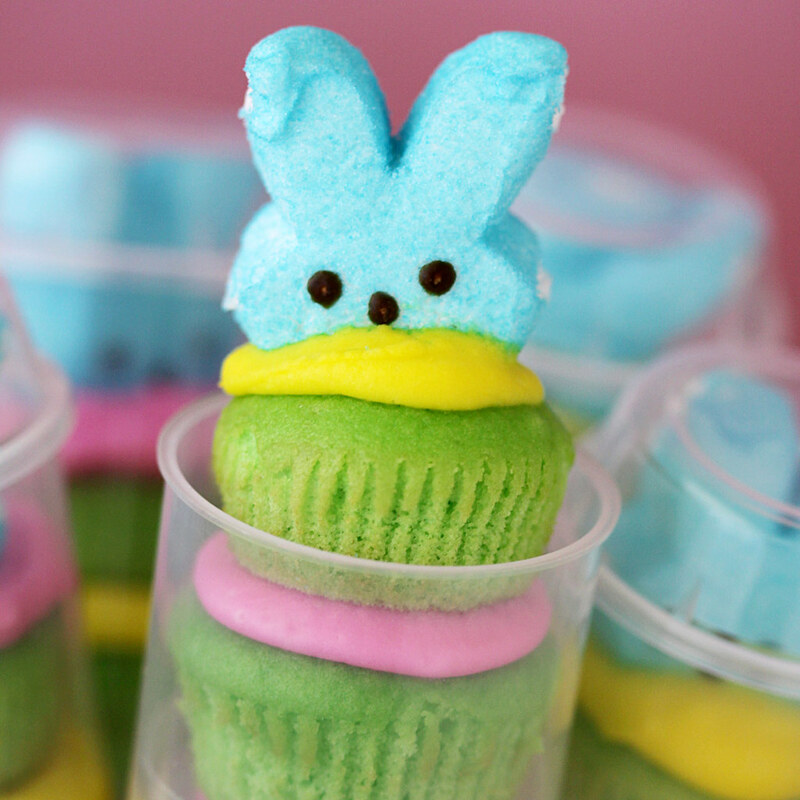 And for the Peeps-obsessed (raising my hand), there is also a Peeps-tastic Flickr pool full of photos of even more adorable desserts with these marshmallow delights (not all cupcakes). You can also follow Love From the Oven on @LoveFromTheOven on Twitter and Facebook. A few weeks ago I stumbled across Cupkate’s Event Designs blog and her darling Push Pop Cupcakes. I didn’t even have to think twice, I put my order in for the push pop containers immediately from her Etsy store. I mean hello, these are ADORABLE. Cupcake shooters, push pop cupcakes, cupcake push pops, push cakes, cake shooter, cupcake shots, whatever you want to call them – I had to make them. I was already planning to make cupcakes for Peeps Week, so I figured I’d do some mini cupcakes and use them for the push pops. You could do SO many things with these containers, this is just one of my ideas, but I’m sure there are a million cute possibilities. 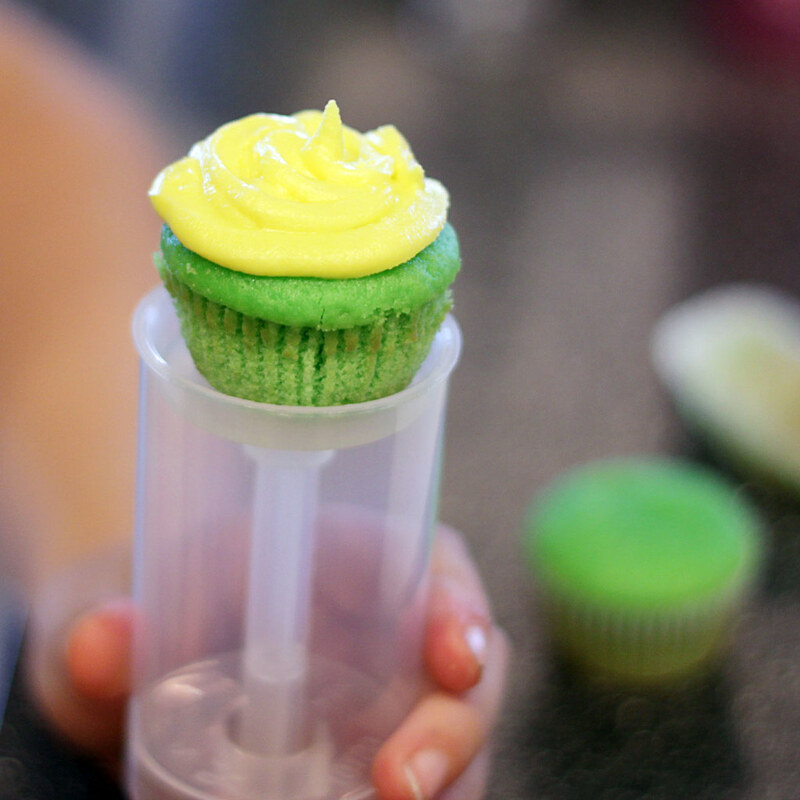 Whip up your favorite cake mix (or recipe) and make yourself some mini cupcakes. I made a box of white cake and added some green food coloring. Nowhere near the food coloring for green velvet cupcakes though. I mixed up frosting in two different colors, using my standard buttercream recipe, and put the frosting into two bags. I used decorating bags because I had some handy, but large Ziplock bags work just fine. I did not use a tip, just snipped of a corner of the bag. Thanks to Love From the Oven for posting these. I think cupcake push pops are going to be big in 2011!